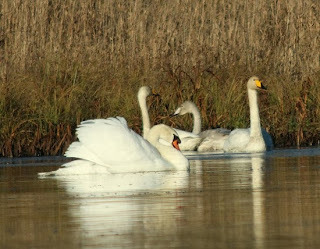 Today was bright and sunny, but cold, with a frost on the ground. 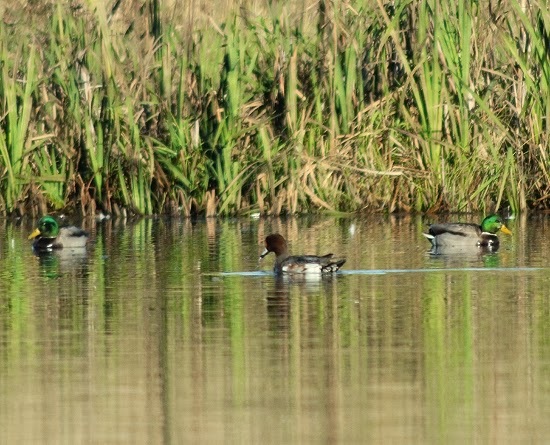 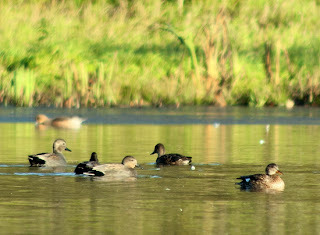 However, this was perfect weather for practicing my digiscoping. 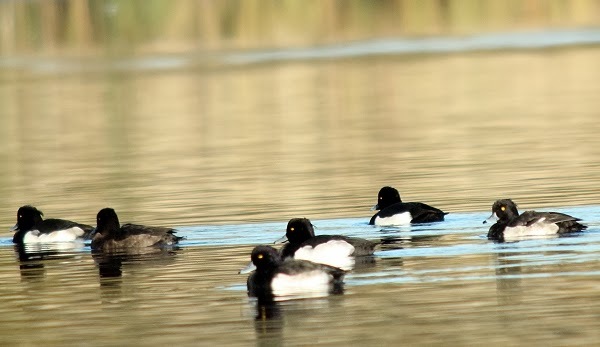 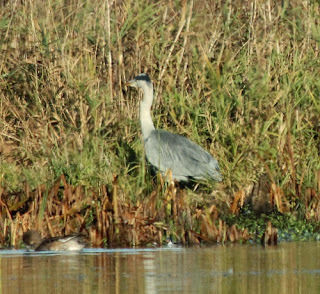 A local pond near where I live has a good variety of bird and we were hoping to see Canada Geese and Great Crested Grebe, but they were nowhere to be seen. 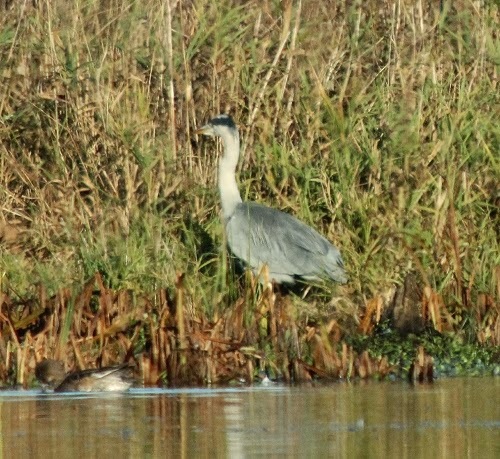 We did see some Gadwall, Whooper Swans, Goldeneye and a Grey Heron. 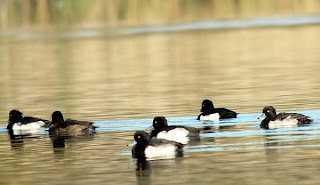 The birds were quite a distance away and the only realistic way of capturing them was by attaching a camera to a spotting scope. This requires good light. Mute Swans and their families like to have ponds to themselves and can be aggressive to other Swans. 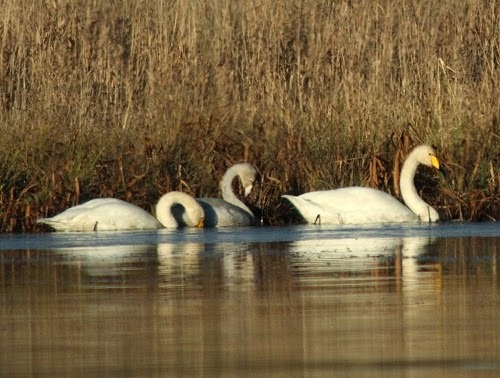 The Whooper Swans below were resting on the edge of the pond before taking a swim. This attracted the attention of the adult Mute Swans who swam over to the Whoopers. 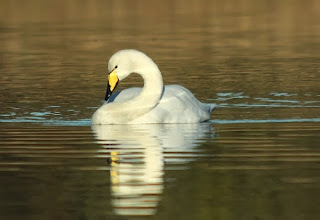 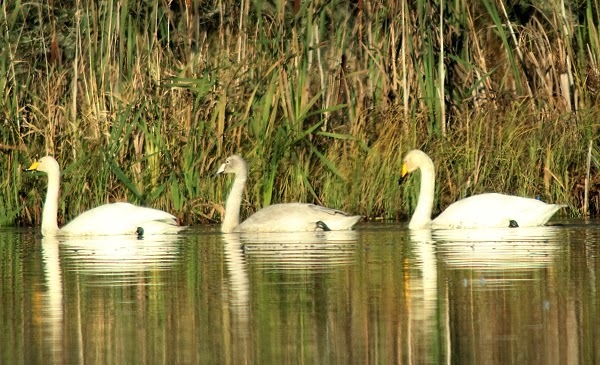 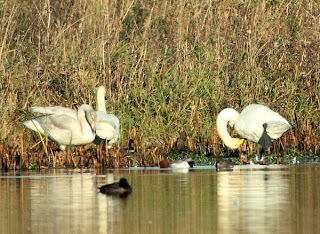 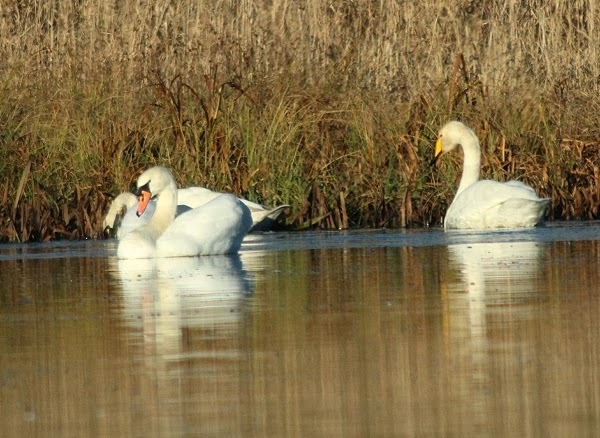 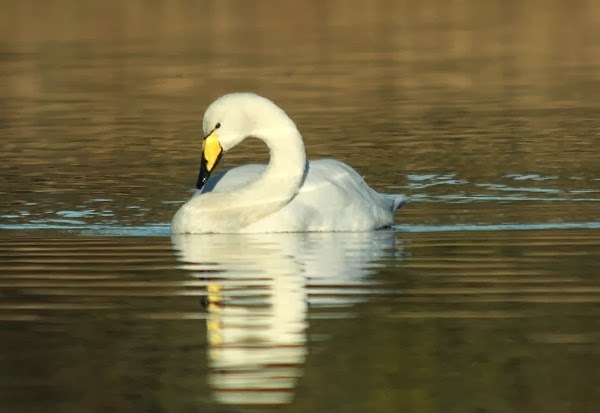 The Whooper Swans did not react to the aggression of the Mute Swans causing the aggressors to withdraw. 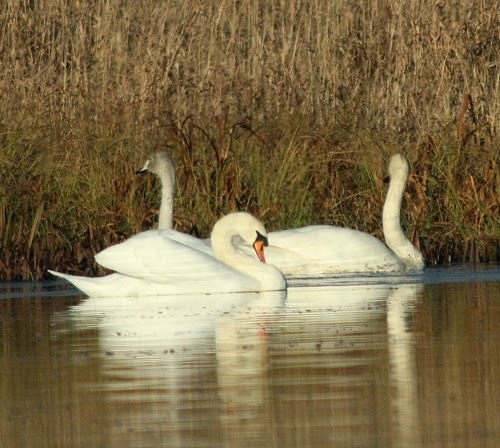 Mute Swans and their families like to have ponds to themselves and can be aggressive to other Swans. 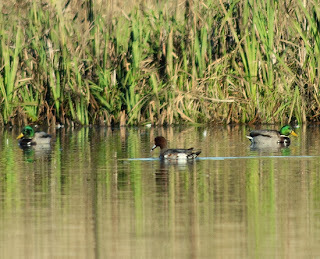 It was a good day out and it may be a few weeks before we get good weather like it again. Unfortunately, in this part of the world it is more likely to be raining!